How old is the earth according to the Bible? How about according to science? The Bible says that Adam was created on the "sixth day" of our planet's existence, so we can start there as we figure out an approximate age for the earth. We also need to assume that the Genesis account is accurate, that the six days of creation were literally 24 hours, and that there were no unknown or vague gaps in the chronology of Genesis. Genesis chapters 5 and 11 provide genealogies, which are like family trees in a sense. They say how long people lived, who their kids were, etc. These genealogies cover all the families from Adam to Abraham. By figuring out where Abraham fits into history chronologically and adding up the ages we find in Genesis 5 and 11, it becomes clear that the Bible teaches the earth to be about 6,000 years old, give or take maybe a few hundred years. Of course, most scientists and schools today teach that the earth is billions of years old—not just 6,000. What are we supposed to do with that? First, it's important to note where this idea came from. There are two techniques used in science to determine the age of any given thing: radiometric dating and the geologic timescale. Scientists on the side of an "old earth" are strictly committed to these dating techniques. Scientists on the side of a "young earth" (around 6000 years old) say that radiometric dating has its flaws because it is based on a bunch of false assumptions. They also say that the geologic timescale is flawed because it uses circular reasoning. "Young earth" scientists also say that there is a misunderstanding about how long certain geological events take to happen—like stratification and fossilization, and even how long it takes for diamonds, coal, oil, stalactites, stalagmites, etc, to form. They are saying that it doesn't take thousands or billions of years. Of course, no one was really around to watch those things happen, so it is all conjecture anyway. Old Earth, Young Earth, does it really matter? In the end, the age of the earth cannot TRULY be proven by science. Whether we believe in an earth that is 6,000 years old or billions of years old (or anything in between), we must put our belief on faith and assumptions. "Old earth" advocates must trust that methods such as radiometric dating are reliable and have faith that nothing has occurred in history that may have disrupted the normal decay of radio-isotopes. 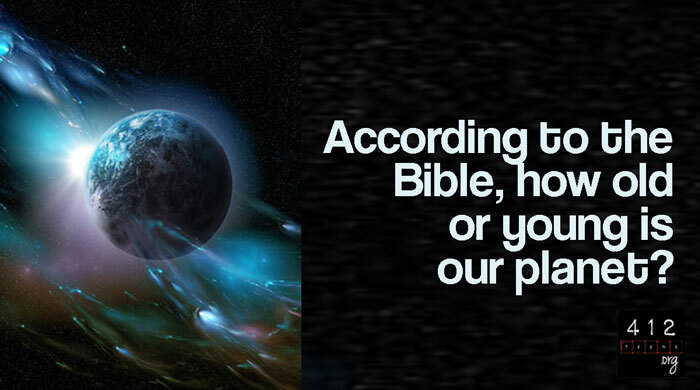 "Young earth" advocates must trust that the Bible is true and have faith that other factors explain geological evidence, such as the global flood, or God’s creating the universe in a way that makes it look older than it is. For example, God created Adam and Eve as adults, not babies. If a doctor had examined Adam and Eve on the day they were created, the doctor probably would have guessed them to be around 20 years old (or whatever age they appeared to be). But the truth was that Adam and Eve weren't even one day old yet. Either way, it is wise to remember that whether you believe in a young earth or an old earth, that doesn't make a difference when it comes to salvation. This viewpoint is not a make-or-break deal as far as whether or not you can be saved. Only faith in Jesus as your Savior from sin can save you (John 14:6; John 3:16). In the end, the age of the earth cannot TRULY be proven by science. Whether we believe in an earth that is 6,000 years old or billions of years old (or anything in between), we must put our belief on faith and assumptions. Either way, it is wise to remember that whether you believe in a young earth or an old earth, that doesn't make a difference when it comes to salvation (John 14:6; John 3:16). Christians with differing viewpoints can agree to disagree and still be respectful friends! Cat is the web producer and editor of 412teens.org. She loves audiobooks, feeding the people she cares about, and using Christmas lights to illuminate a room. 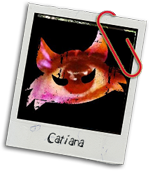 When Catiana is not writing, cooking, or drawing, she enjoys spending time with her two kids, five socially-awkward cats, and her amazing friend-amily. PLEASE NOTE: All comments get moderated, so yours will show up as "awaiting moderation" every time. (Sorry!) ALL bullying, hateful, theologically-incorrect, or misleading comments WILL be deleted. Jerks will be banned. (Not sorry about that.) Views/opinions expressed by commenters do not necessarily reflect those of 412teens or GotQuestions.org. Want to ask your own question?